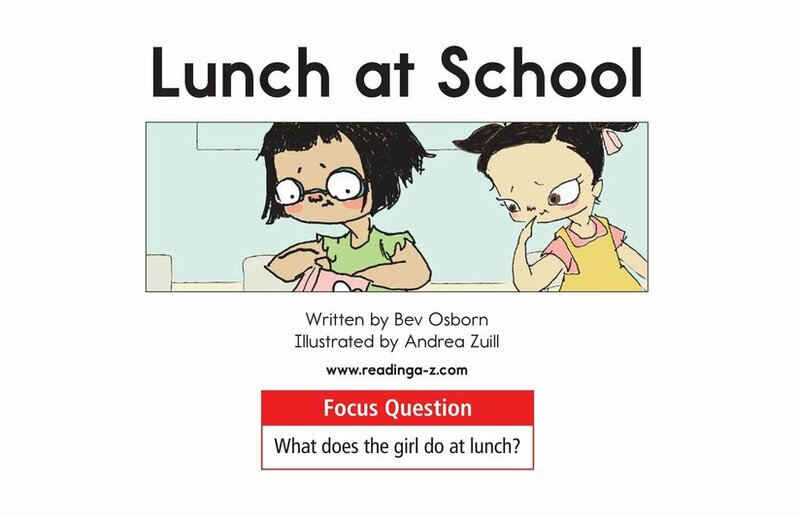 Lunch at School is a simple story about a common activity. 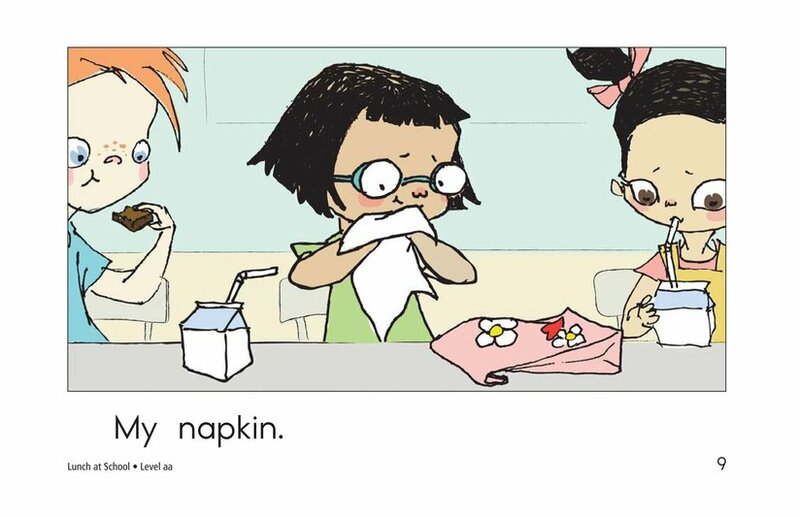 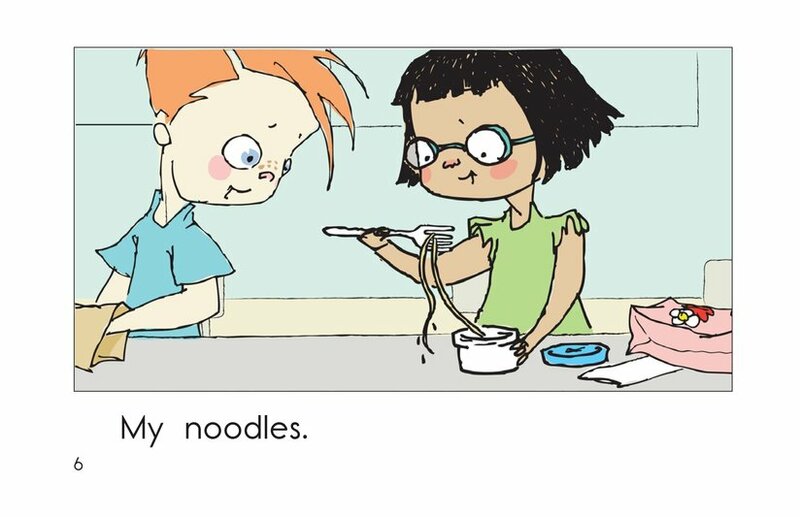 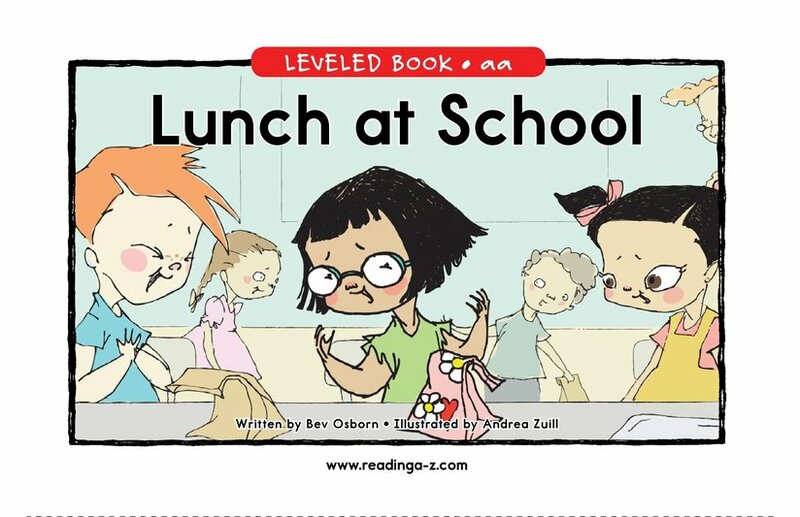 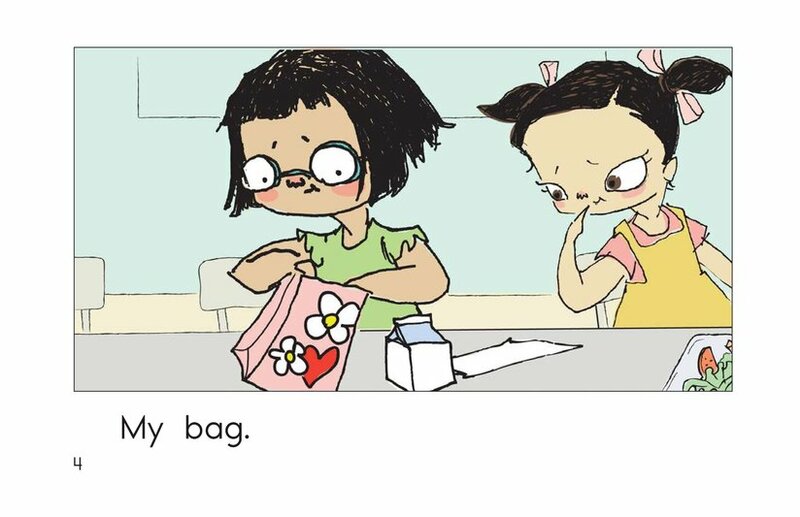 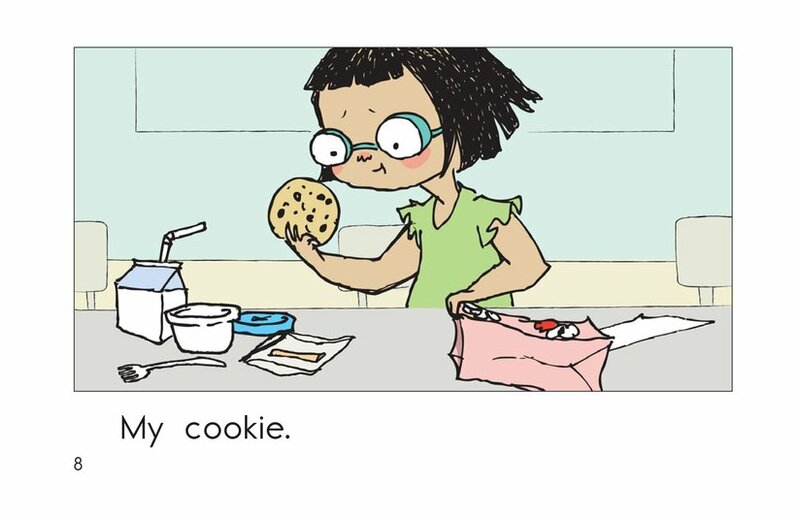 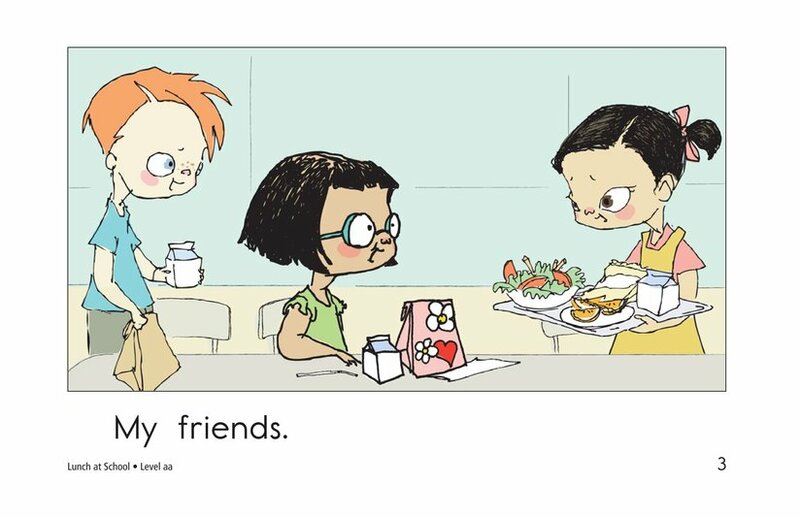 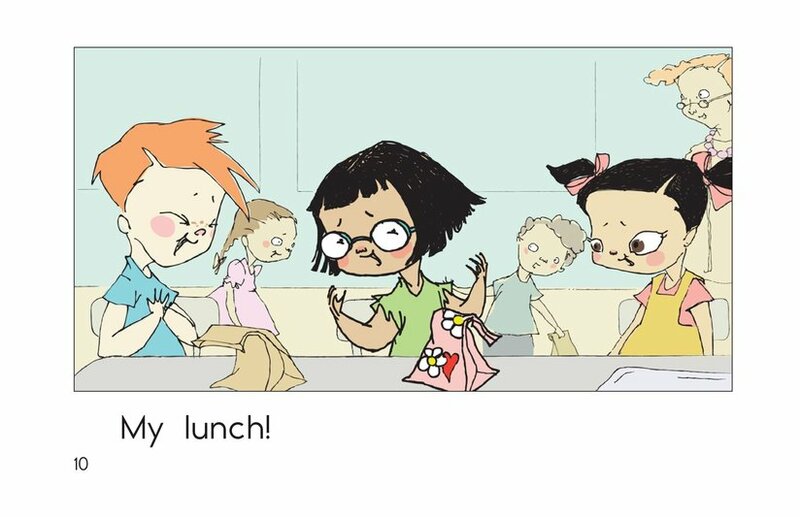 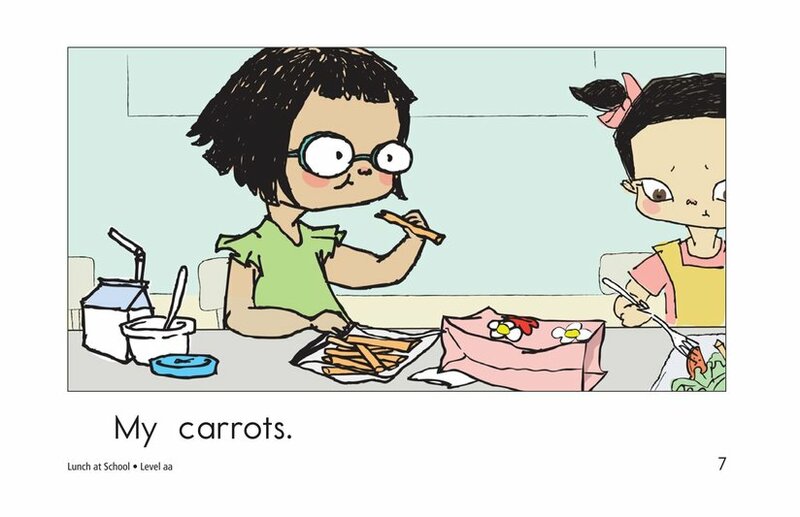 Different parts of lunch are revealed in two-word sentences, while interesting illustrations brighten the story with comic and engaging characters. 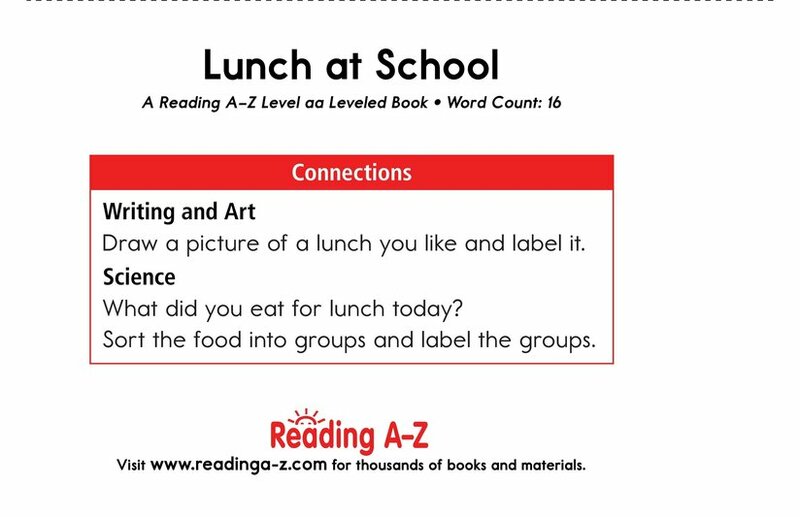 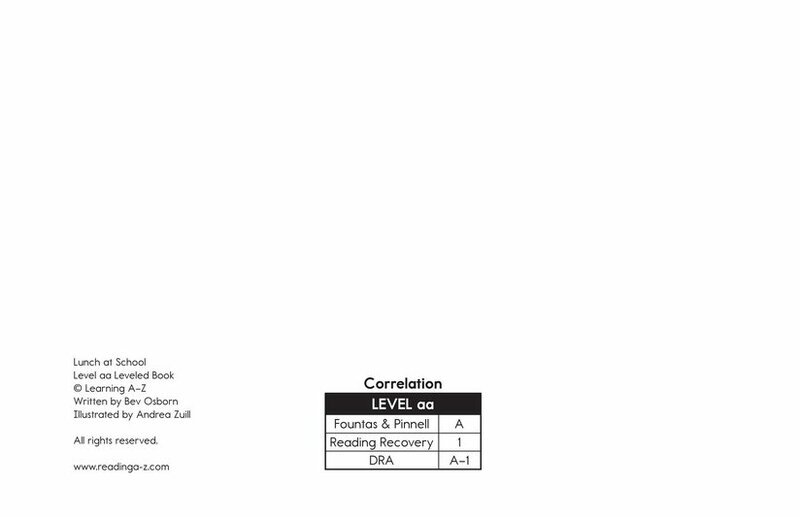 Use this book to teach students about connecting to prior knowledge as well as finding details that support a main idea and using nouns.